The subject of chatbots has been widely discussed for some time now. Many are even considering it to be “the next big thing” in marketing. User surveys confirm this trend. A Hubspot survey shows that 57% of the participants want information from a bot when they visit a website. 47% of users are even ready to buy something through a chatbot. These survey‘s result show the enormous potential, especially for e-commerce companies. At least if the chatbot is adapted to the needs of the users and provides a great user experience. 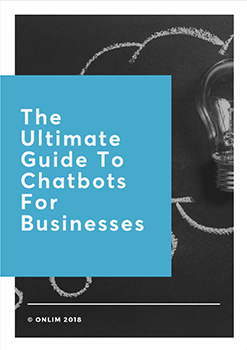 On average, a user spends not more than 160 seconds per conversation with a chatbot. If the chatbot does not make a good impression immediately, you will miss out on the chance of converting them into loyal customers. To make sure that this does not happen, we have summarized the most important points to improve the experience of your customers with the help of a chatbot and leave a lasting positive impression. When you start with your chatbot, you should only use it for a small selection of tasks. Make the optimizing and testing of these tasks a priority before adding more tasks. To get started, it is important to take some time to identify the most important features for your target audience. It is always good to include people from the relevant departments in the development of the bot. They often know the customers much better and can help you tailor the chatbots to the needs of your target group. Once you have created your bot for a specific set of tasks, you should communicate them transparently to your audience. Make sure that they are aware what the chatbot can and can not do at the moment. This avoids creating wrong expectations and disappointment. Here some more tips on how to implement a successful chatbot. Bots are automated but actually a great way to personalize your entire customer communication, you just have to do it right. It is important that you give your chatbot an individual voice and a character. You can do this, for example, with a certain wording, a profile picture or a name. To move a way from the “chit-chat” kind of chatbot, you have to think about customers’ emotions and how to interact with them in the most meaningful way. The goal is to create a natural conversation between user and bot. In the beginning, let users get to know your chatbot. It can introduce itself briefly and explain the tasks it can be of help. Basically, you can take all the rules into account that also apply to other ways of communicating with your customers. You’ll find some more tips on how to specifically improve your bot’s individuality here. Chatbots can already take care of many tasks, but sometimes they still reach their limits. Therefore, you should definitely install a human switch option. This means that as soon as the chatbot can’t help the user anymore or the user wants to chat with an employee, there should be an option to switch to a live chat with one of your employees. That’s a basic feature that we at Onlim offer for all our customized chatbots. 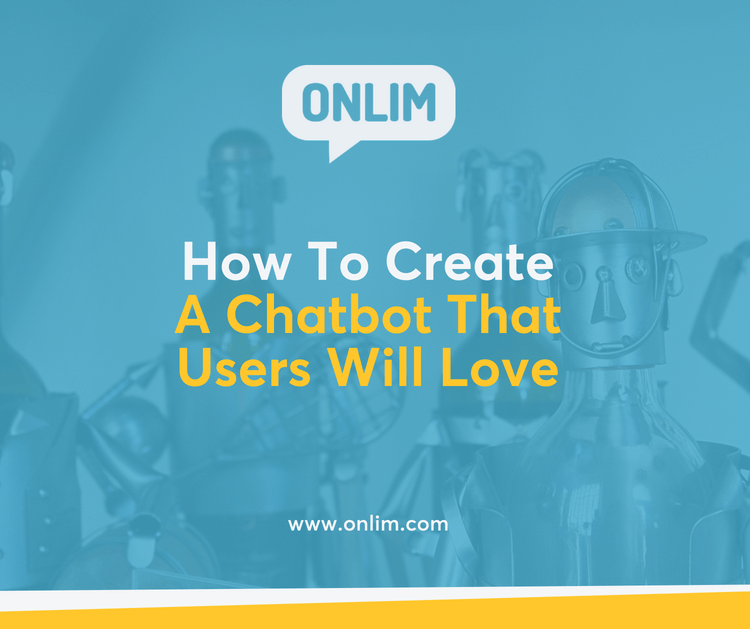 In our opinion, the mix of chatbot & live chat is what makes all the if you want to create a chatbot that users will love. Just be sure to let users know about this option and make clear if he’s talking to a bot or a human at the moment. In case there is no employee available at the moment a user requests it, this must be communicated as well. Also make sure to let them know how long the response time can take or offer them other contact options. Basically, do everything to assure that users feel taken care of and are happy about the conversation with the chatbot when they end it.